The SAIC-GM-Wuling joint venture is expanding the availability of its all-electric, two-seat, Baojun E100 in China to more cities in throughout the Guangxi Zhuang Autonomous Region. Initially, the Baojun E100 was available only in the city of Liuzhou in August 2017 and in just five months 11,446 were sold! This small runabout now accounts for 2.5% of passenger vehicles on Liuzhou’s roads. The secret lies in the affordability, as two of the variants costs between RMB 93,900 (≈$14,900) and RMB 109,900 (≈$17,445), which after subsidies turns out to be only RMB 45,800 (≈$7,270) and RMB 58,800 (≈$9,330). 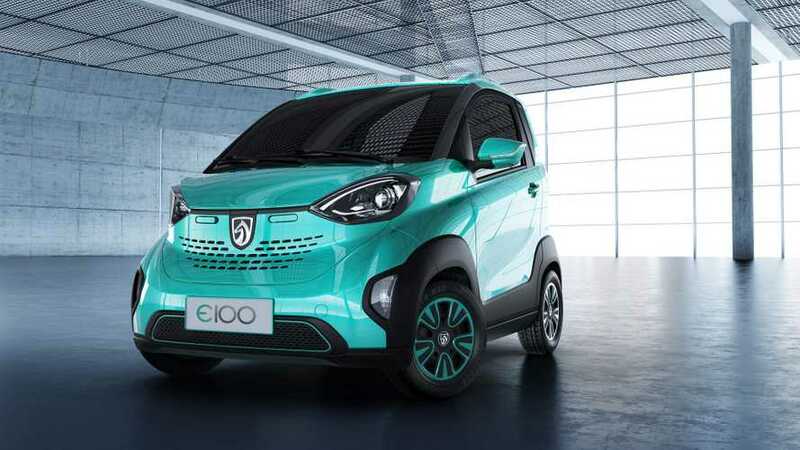 "Baojun, one of China’s fastest-growing vehicle brands, launched two variants of the electric two-seater at a price between RMB 45,800 and RMB 58,800. The retail price reflects subsidies offered through the end of March. Customers can place orders on the Baojun E100 website (www.baojunev.com) and pick up their vehicles at designated Baojun dealers throughout Guangxi. While subsidies for new energy vehicles in 2018 by the Chinese government remain uncertain, a new program was recently introduced in Guangxi. The subsidy is 50 percent of the current national incentive, with 40 percent being provided by the regional government and the other 60 percent being provided by the registration location of the vehicle. The original price of the Baojun E100 before subsidies is between RMB 93,900 and RMB 109,900."